It’s good that the long arm of the U.S. can stretch far beyond its borders when pursuing crime in this global world of ours. On the downside, at least in some cases, the U.S. Attorney’s Office could probably put resources to better use and let the country of origin charge and prosecute the cases. 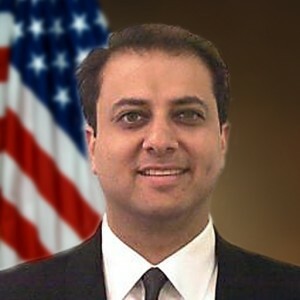 For example, U.S. Attorney Preet Bharara of New York just indicted the ex-President of Guatemala Alfonso Portillo on embezzling money and laundering it through American and European banks. He’s also facing corruption charges in his own country. The question is: Was it necessary to pour those resources into that case? It’s certainly a point of debate. WASHINGTON — Federal prosecutors in New York are ratcheting up an aggressive strategy to pursue terrorists, drug traffickers and corrupt public officials who operate on foreign soil. The expansion of traditional crime-fighting boundaries, which has its roots in an approach begun by the office in the 1990s, has been controversial among experts, with some questioning whether the effort is the best use of the U.S. government’s limited resources. But advocates say that using the long arm of American law to apprehend international figures whose crimes involve the United States might be the only way to attack an increasingly sophisticated global criminal threat. Former Guatemalan president Alfonso Portillo became the latest target when he was arrested this week by police in Guatemala after money-laundering charges were unsealed in New York. A federal grand jury in Manhattan accused Portillo of conspiring to divert millions of dollars in military funds and donations intended to buy children’s books into the pockets of relatives and close political aides. Some of the Guatemalan money found its way into U.S. banks, including the institution once known as Riggs Bank in the District, court papers say. Posted: 1/28/10 at 9:01 AM under News Story.